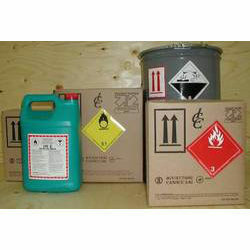 Pioneers in the industry, we offer dangerous goods transportation by air from India. We as a courier service providers abide by the IATA regulations. All the Dangerous and Hazardous Goods has to be compulsorily pass through the elimination process of the IATA ensures that they are safe to be transported and they will not create any hazard activity during the transportation.